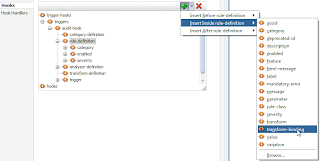 In a previous blog I described how to build an audit rule in JDeveloper 12c, besides the audit rule, you can also write a fix for this rule. In this example, the fix isn’t anything fancy, but it gives you an idea on how to write more complex fixes. The rule we created in the previous blog was one to check if there was an iterator in a pagedefinition file that has the attribute cacheResults set to false. The fix for this rule will be to set the value back to true. 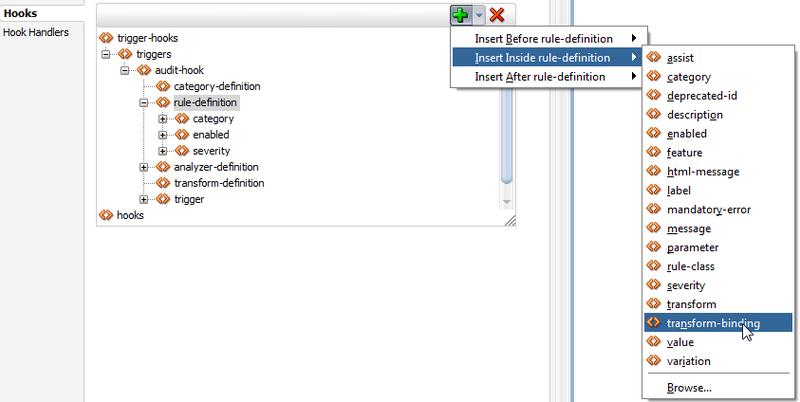 In the popup enter the ID you choose for the transform-definition. 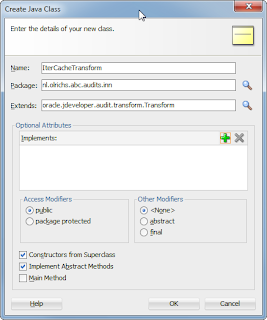 Next we need to create the actual Java Transform class. 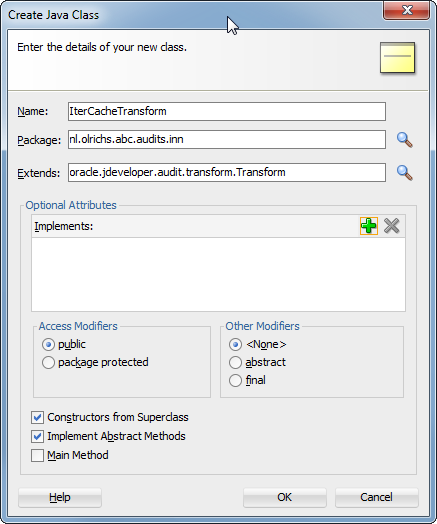 This class needs to extend the oracle.jdeveloper.audit.transform.Transform class. In this class we need to create a default constructor, in this case we’re fixing an XML document (the pageDef), so we want to call the super with a new XmlTransformAdapter. * Calls the super with new XmlTransformAdapter. * Set the attribute value (cacheResults) to true. As we've seen for the audit rule with the enter and exit methods, you can write a fix (apply) for different levels (for example: Document, Element, Attr) as well. In this case we only need an fix on the Attr, so we only create an apply on this level. Don’t forget to deploy to the Target Platform before running your extension. The result is not only a warning in the pageDef, it is also a suggestion for a fix with the label we defined in the bundle. When you click the fix, you will see the value toggle from false to true.